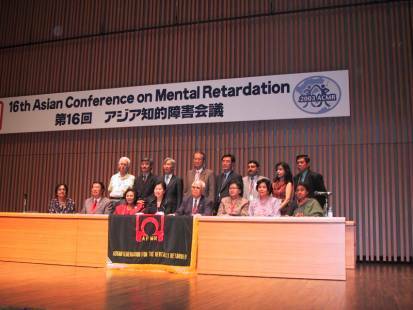 In preparation for the 16th Asia Conference on Mental Retardation to be held from 21 Aug 03 �� 25 Aug 03 in Tsukuba City, Japan, the AFMR annual board meeting was held from 26 Oct 02 to 28 Oct 02 at Tsukuba International Congress Centre. Board Members started to arrive from 25 Oct 02. A total of 15 participants attended the meeting. Dr Emily and Rev Brenan from Republic of China, 2 from Korea, 3 from Singapore, 2 from Indonesia, 2 from Thailand, 1 from Philippine, 5 from Japan and 1 from Nepal. Dr Yeung Tak Wah from Hong Kong was not able to make it for the meeting. In addition, key members of the local organising committee were present to brief on the progress of the organisation of the 16th ACMR and to ask for endorsements and take comments from the board. Of the 4 Honorary members, only Mr D.R. Daniel from Malaysia was not present. The board was concerned about Mr Daniel as he has not attended the last 2 board meetings. The permanent secretariat has made a commitment to try to locate him and report at the next board meeting. 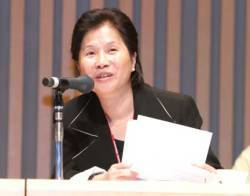 The final report on the 15th ACMR was presented by the Immediate Past President, Dr Teresita Inciong. She reported that the objectives of the conference were fully achieved. Of the 528 participants, 178 came from countries which includes Australia, Austria, Bangladesh, China, Taiwan, France, Hong Kong, India, Indonesia, Japan, Korea, Kuwait, Nepal, Netherlands, New Zealand, Singapore, South Africa, Thailand and USA. 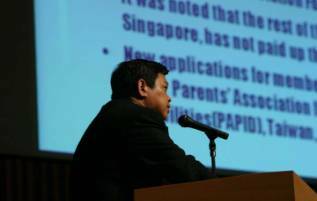 Ten percent were parents and 22 persons with mental retardation attended. Prof Kaosu Yamaguchi provided a short update on the Asia Resource Centre in particular on the training courses conducted in Japan and Thailand. Awards on care and training of the People with Mental Retardation in 2001 was presented to the paper " Case study on Inclusion of Children with Mental Retardation. The Philippines Experience" by Ms Estelita M.Samson and Ms Melinda G.Gerero from Philippines. a. The transportation of the participants from Tokyo to Tsukuba City. d. Optional tours: It was suggested that more tours be organised for participants to visit organisations for Intellectually Disabled Person. 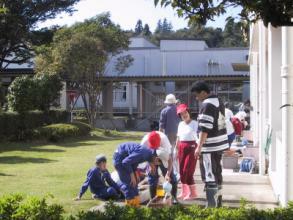 After the formal meetings, the board visited two ID organisations: Shonan and a special school. The board members found these field visits suitable and educational. 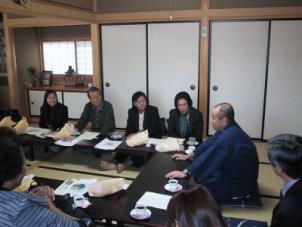 Especially insightful is the visit to Shonan. 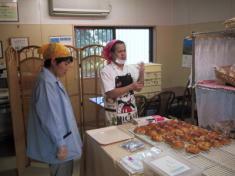 We visited their residential facility, their half way house, group home as well as their bread shop. The planning for the 16th ACMR is on schedule and the objectives set out for the AFMR Board Meeting were all attained. The success must be credited to the careful and detailed planning and the commitment of the organising committee for the 16th ACMR. 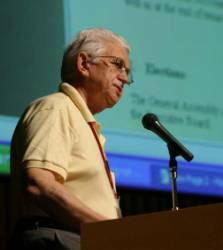 The 16th General Assembly finally concluded on the last day of the 16th ACMR on 25 Aug 2003 at Tsukuba City, Japan. 11 of the 14 Full members attended the meeting. 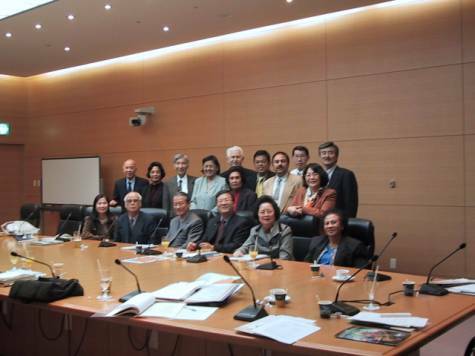 In addition, associate members and interested delegates from different parts of Asia and the world were also present. 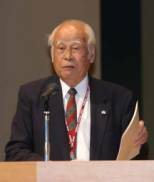 The President reported on the completion of the 16th AFMR Conference. In particular, the meeting noted on the extremely good participation from both the local and oversea delegates. A total of close to 1000 participants were present. The papers presented were also impressive and covered the range that was intended. As an initial assessment, it can be considered very successful. The Permanent Secretariat made a summary report of the work done by the 16th Board. In particular the membership status, the constitution review, the setup of the websites at www.afmr73.org and the clearing up of the subscription arrears. Rev Brendan also made a detailed report on the constitution review, the changes that were made in particular on membership application, the new membership fee, the increase in the number of Honorary membership from 4 to 7. The General Assembly passed the revised constitution and also accepted the 16th's board recommendation to admit Prof Kim Yong-Woo, Dr Tresista Inciong and Mr MK Wong as Honorary Members. Prof Yamaguchi also provided an update on the ARC's activities to the general assembly. The Permanent Secretariat will continue to be in Singapore and will be managed by COL Tay Tiong Beng. 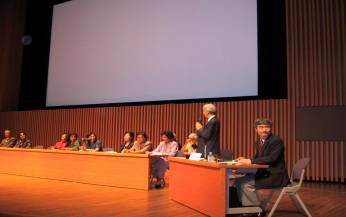 The general Assembly was successfully completed.